Testimony began Tuesday in the murder trial of a Danville man accused of killing a bicyclist in July of 2017. Twenty-four year old Latron Cross is on trial on first degree murder charges for the shooting death of Ollie Williams. 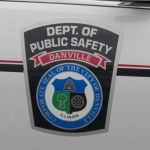 Some Danville Police officers testified Tuesday that Williams was found lying along the 1400 block of Eastview. His bicycle was found in a ditch in the same area. Danville Police evidence technician Cliff Hegg said what appeared to be blood evidence was found at the scene. Hegg also said a gun was never located. If convicted on the first-degree murder charge Cross would be eligible for a prison sentence of 20 to 60 years, or could potentially receive up to life in prison. But Cross claims he is not guilty, and it will be up to a jury to decide whether to convict him. Testimony in the trial resumes Wednesday (November 7th, 2018).